Christopher Millard is the principal bassoonist for Canada’s National Arts Centre Orchestra, a position he came to after 29 years with the Vancouver Symphony Orchestra and the CBC Radio Orchestra. He also serves as principle bassoon for the Grand Teton Music Festival. A student of the legendary Sol Schoenbach at the Curtis Institute, Mr. Millard has been an important educator for four decades. 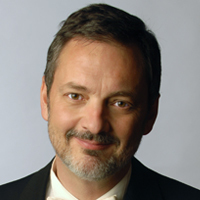 A long time faculty member of Canada’s National Youth Orchestra, the University of British Columbia, and the University of Ottawa, he also served as bassoon professor at Northwestern University for seven years. He gives regular master classes at the New World Symphony, National Orchestral Institute, Manhattan School, Curtis Institute, and many others.